March is over! Onwards to spring! 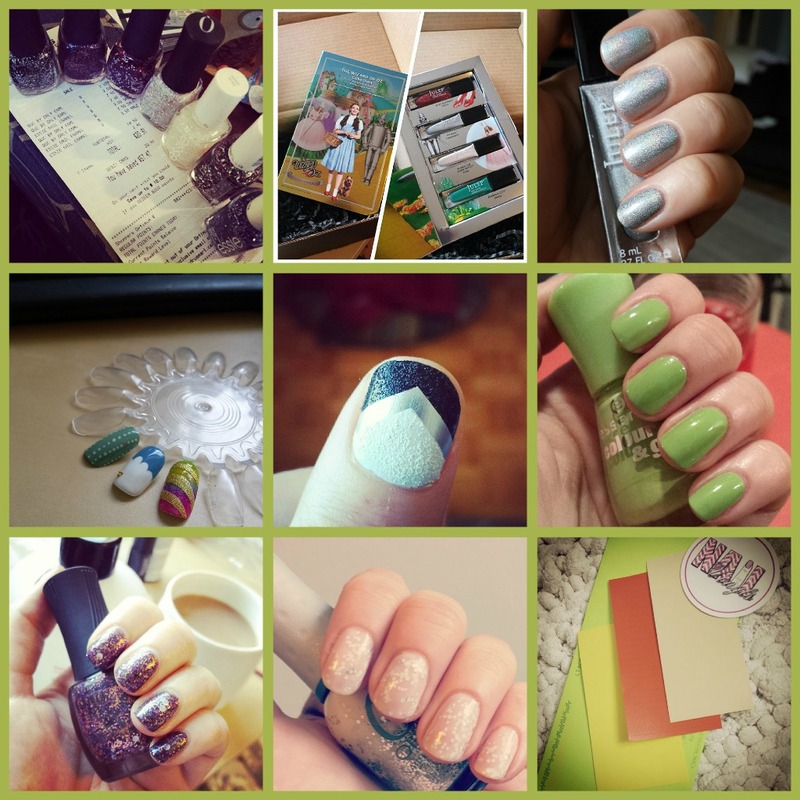 :) Let's take a look at some of my favourite nail-related posts from over on instagram since there were quite a few last month that never made it over here. To start with I want to point out my awesome shopping adventures from last month... In the bottom corner we have my first order of Nail Vinyls, and at the top we have my Julep Wizard of Oz Collection set (with Julep Tin Man swatched beside it - S T U N N I N G). Both of these products have posts coming up in the next week or so, so keep your eyes peeled. :) The other awesome shopping adventure was the picture in the top left... You can't quite make it out here, but that's a haul of 7 Quo by ORLY and Essie polishes for about $20 (and a savings of $57)!! Best. Day. Ever. There's also a handful of looks I wore that never got properly photographed... I did a lot of "just for me" self-care manis this month. :) If you have questions about what specific shades are you can check the originals on instagram or leave me a comment here and I'll let you know. Nice instagram pictures you've liked this month!